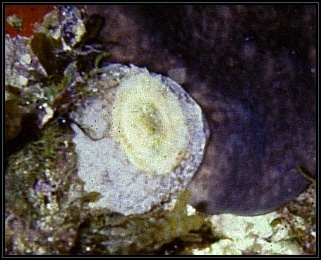 Large opisthobranch, found feeding on sponges (mainly a black Cacospongia sp.) with a large patelliform shell on its dorsum. 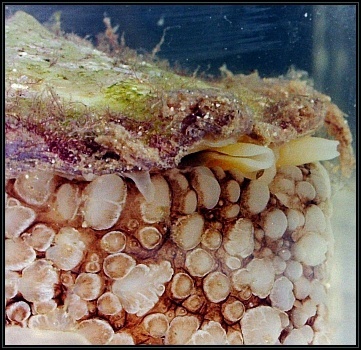 The shell does not cover the whole animal but protects its internal organs. 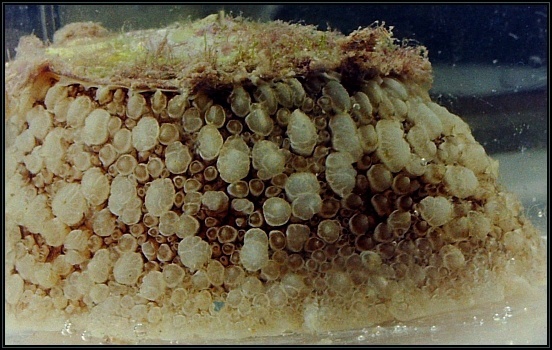 The mollusc is drab in colour with paler coloured tubercules covering all the body. Rhinophoral tentacles present as folded appendages. Size range: up to 80mm. Uncommon. Specific characteristics: There is probably only one species of Umbraculum worldwide and is easily distinguished by its umbrella-like shell, body form and habitat.